#1. 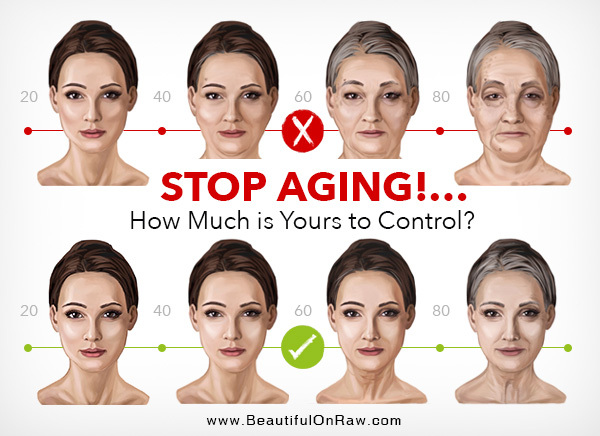 Aging...You CAN control how you look! “Slow down aging…” Not many key this exact phrase into Google, but I believe that’s what the “stop aging” people are actually looking for. Others have written me to say that aging is inevitable, and that it’s closing in on them. Still, there are those who believe growing older can be a lot fun. Geraldine, the editor of my very first book Your Right to Be Beautiful, was 84 when she remarried, after being a widow for many years. I remember how she’d tell her age and confess to being a new bride to everyone she met: bank tellers, shop clerks, restaurant waiters. So many WOWs! Oh, she was enjoying the reactions she was getting. She garnered more admiration and attention than anyone else—younger beauties didn't have a chance, while she was around. Geraldine was an inspiration. As I turned 60, I decided to start telling my age. What a freedom…and what fun! Recently I took a hula dance class from a beautiful 70-year-old Okinawan woman. She kept asking me: How come your skin is so smooth? I say, But you, too, have practically no wrinkles. She answers with a don’t-be-silly look: I am from Okinawa. I belong to the Ryukyuan people, one of the longest living peoples in the world. My mother, she explains, is 97 and she has very few wrinkles. It’s in our genes. But what is it about you, Tonya? Edna, to use her American name, thinks it’s her genetic prerogative to stay wrinkle-free far into her later years. And who knows? Maybe it is. She made me think of my mother, who has just turned 80. My mom has a fair whack of wrinkles and loose skin. When it comes to skin and genes, well…Let’s just say I don’t have an Okinawan heritage to back me up. If you’re in your 40s or 50s and fretting about aging, forget it. Much too early! It’s when you hit your 60s, you’ll lose any illusion you might have had of stopping aging. All right, you can’t stop aging. I’ll give you that. But I’m adamant that you can avoid the facial and bodily distortions the old age commonly brings. And that’s definitely the next best thing. 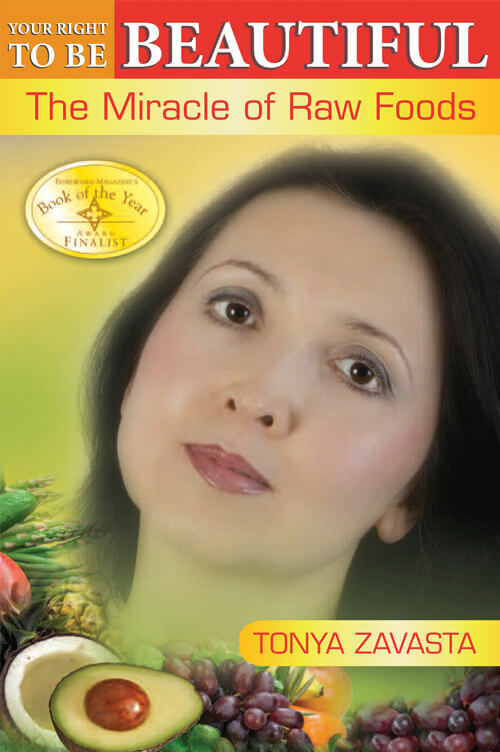 I discussed this extensively in my first book and developed it further in my Guide to an Ageless Face. If you haven’t yet read it, do get it. You don’t have to be afraid of aging. But you do need to be prepared. Remember Geraldine? Why that 84-year-old woman was getting so much attention? It’s because she was doing so much better than anyone expected of her. You have to do better than people expect of you, and avoiding wrinkles will do it. Tip: Go about it naturally. Having it done surgically won’t give you this effect. Regardless whether you have good genes or not, take care of your skin from inside and out and you will be rewarded. Seeing people's reaction to your youthful appearance will keep you in perpetual good mode. Listening to their compliments, one would think you indeed found the way to stop aging, while in fact, you can only slow it down. But believe me, it’s good enough. 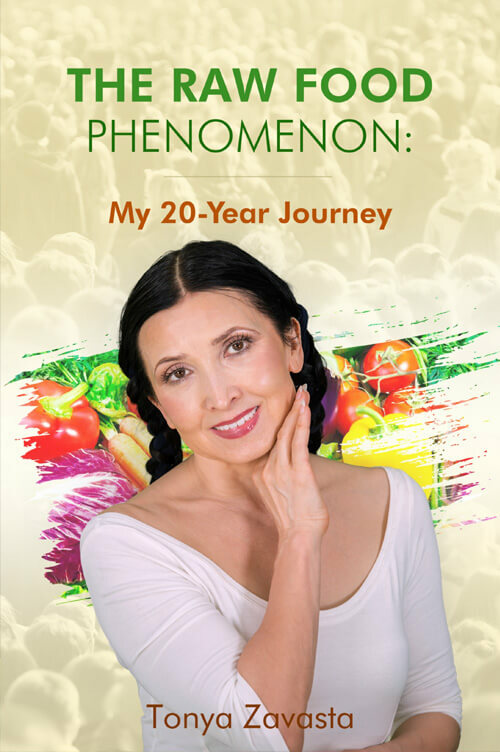 Read an excerpt from my first book here: Anti-Aging Foods. 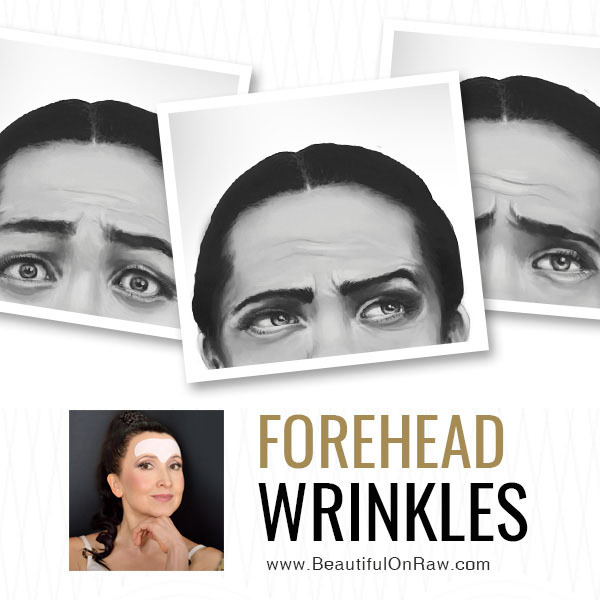 The forehead is the main reason it’s so hard to look attractive after 50. The forehead furrows and lines make you look angry. Unhappy. They tell tales about your personality, your attitude to life. Our forehead WrinkAligns were out of stock for a few months. I missed them every day. But finally, our new shipment is here. 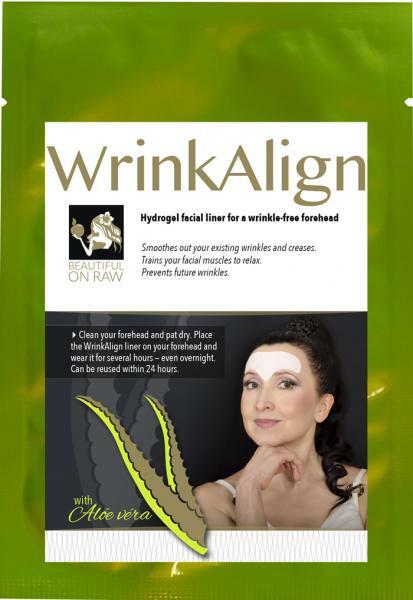 Wear your WrinkAligns every night, wear them during the day, when nobody is around, and they will make a difference whether you have forehead wrinkles or not. Please note that Beautiful on Raw takes the security of your personal data seriously. You’ve received this newsletter because you’ve given your explicit consent for me to send it. My newsletter subscription has always been a double opt-in process, which is now a requirement under new GDPR law. Learn 10 secrets to avoid distortions of the old age in your 50s and 60s. I use your forehead and eye patches and absolutely love them.